Nostalgic for me, but a disappointing read. 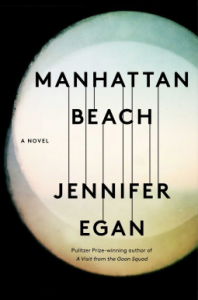 Manhattan Beach, Jennifer Egan, author; Norbert Leo Butz,‎ Heather Lind,‎ and Vincent Piazza, narrators. The book takes place after Prohibition, but the effects of The Great Depression are everywhere. Edward Kerrigan needs work to support his wife and two daughters, one of whom is severely disabled. Shipping has dried up, and there is no work for longshoremen. He takes his precocious, headstrong 11 year old daughter, Anna, to a business meeting with Dexter Styles, a well known and influential gangster. The meeting is in Dexter’s home in Manhattan Beach which is an affluent area of Brooklyn, Although Styles owns legitimate nightclubs, they have secret backroom gambling casinos. He is dangerous; those who defy him disappear, but Eddie is desperate. After being introduced to Dexter, Anna plays with his children on the beach. She is impressed by the size and beauty of the house and the many luxuries and toys the children possess. 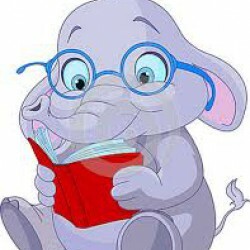 The book then travels in time. Anna is now 19. When she was 14, her dad simply vanished from her life with no explanation. She is now working at the Brooklyn Navy Yard with other young women who are doing the jobs of the men who have been called up to serve in the military. World War II is raging. A free spirit, she wants to be a diver, an occupation open only to men since the diving suit is heavy and the work is dangerous. She sets out to accomplish that goal and is ultimately successful, against all odds. Right now, her lifestyle is very simple. She and her mom take care of her handicapped sister, Lydia. When she meets a woman named Nell, she begins to push the envelope a bit and live more recklessly. She meets Dexter Styles again, but he does not recognize her and she gives him a false name. He unwittingly changes the arc of both their lives as his, Edward’s and Anna’s intersect. The book continues to travel back and forth in time, largely through the memories and lives of Dexter, Edward and Anna. It is how secrets are revealed to the reader but not to the characters from whom they were hidden. I found the story to alternately be credible and/or contrived for several reasons. Although, I was brought up in Brooklyn, some decades after Anna, Manhattan Beach was still a place we ordinary souls only dreamt about. When one of our friends moved there, we thought his family had made it to the top. I heard many stories about gangsters. One lived a block away from me and was supposedly thrown from a window. My friend’s dad worked at the Brooklyn Navy Yard. As a young girl of 16, I had a boyfriend in the Navy, and Tabitha Styles crush on her cousin Grady, and the description of the uniform, brought those memories back! Prospect Park was a favorite place to go rowing until it became too dangerous to go there. My family loved eating out at Lundi’s and gorging ourselves on the Shore Dinner mentioned, which was several courses of heaven followed by dessert. The Charlotte Russe was my dad’s favorite sweet treat. My aunt’s friend was a Texas Guinan dancer, and everyone wanted to be in Ziegfield’s Follies. Nightclubs were elegant and for special occasions, but off limits for most of us, unless for an organized pre-planned party of some sort. Sweet sixteens were often held at those venues. Coney Island and Steeplechase were places to simply have fun, and walking through the turning barrel at its entrance was a highlight of the experience. Ringolevio was a game played by all of us, happily, for hours, as well as stoop ball. All of these things are mentioned in the book, and for those reasons, I enjoyed it, but my experiences were out of the time zone in the book. Therefore, I thought the story was an odd mix of historic fiction and fairy tale. It was sometimes credible and sometimes hard to believe, especially since there was no woman diver in a diving suit until 1975, more than thirty years later. In addition, I remember that girls who got into trouble were shamed mercilessly, and they disappeared. If they were in school, they had to leave. I found Anna’s reaction to her predicament a bit cavalier and unrealistic, especially for that time period. She seemed to alternate between a naïve young woman and a sophisticated adult. It seemed a bit disingenuous or schizophrenic. All in all, the book seemed to contain a lot of extraneous information and details in an attempt to illustrate the influence of gangsters at a terrible time of history. It clearly showed the inequality of women and their lack of power and rights. Because they had little influence and were barred from so many things, they often had to make desperate decisions. Only the strong willed could survive independently. It also touched on homosexuality and racism, issues still problematic today. I don’t think this book quite measured up to her last one, “A Visit From The Goon Squad”.